New Zealand life insurance comparison website LifeDirect killed its long-serving mascot in an ad to persuade customers to think about estate planning. 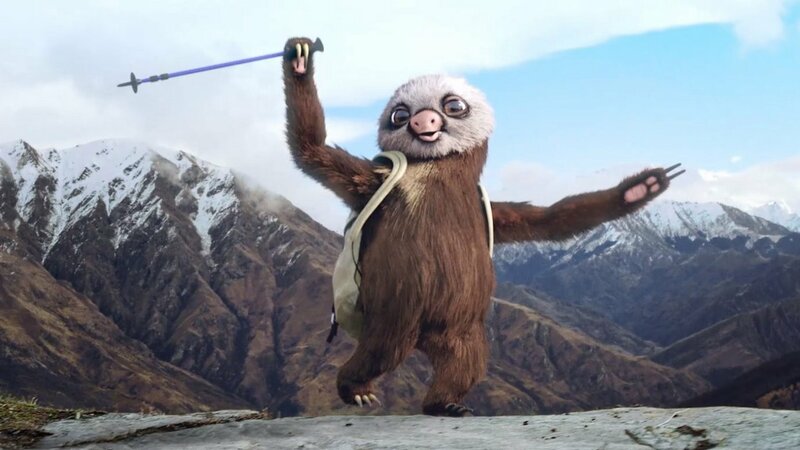 The campaign began with a TV spot in which Simon the sloth, LifeDirect’s mascot of almost ten years, falls to his doom while hiking. The ad ran across 25 different channels at almost the exact same time and then never aired again. 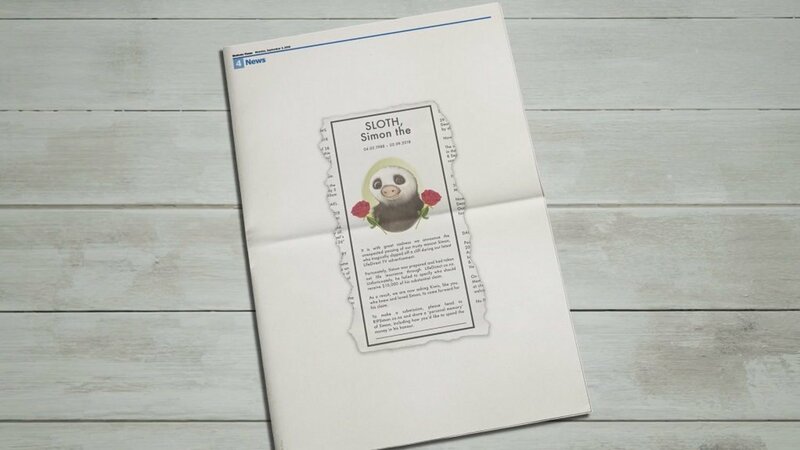 The next day, LifeDirect placed ads in newspapers to confirm Simon’s death and announce that its mascot had failed to stipulate who should benefit from his life insurance policy. People could enter a competition to win a portion of Simon’s NZ$10,000 estate by inventing stories about how they knew the deceased and why he’d want them to have the cash. This promotion was supported with digital outdoor ads and online videos. 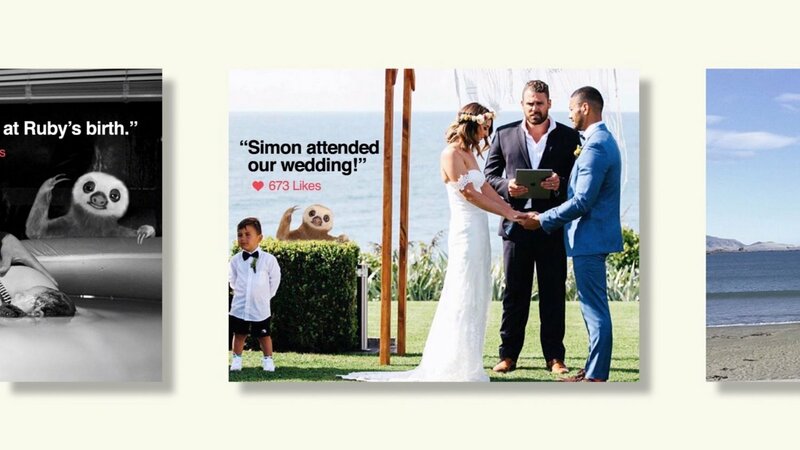 The Demise of Simon campaign, which was created by Y&R Auckland (now VMLY&R) prompted 17,000 visits to the promotional microsite and a 32% increase in visits to LifeDirect’s website. 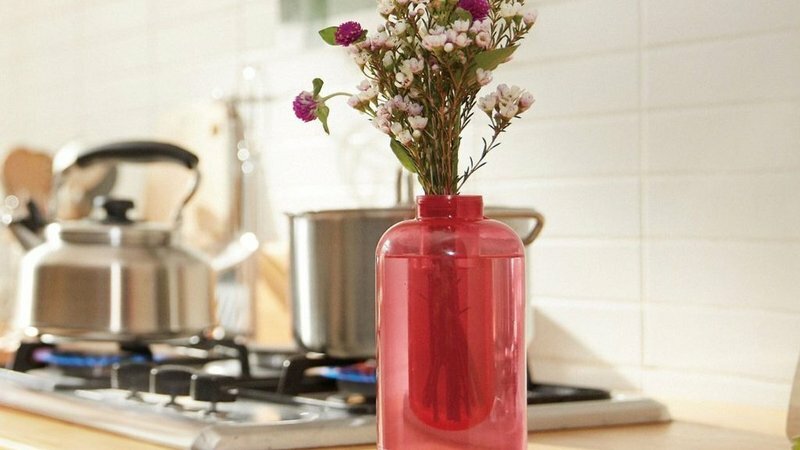 It also precipitated a 44% increase in brand preference from consumers, according to the agency. We spoke with Tom Paine, executive creative director at VMLY&R, about the campaign. Can you give me a bit of background about LifeDirect as a brand, and how it has developed and changed? Trade Me is the parent company of LifeDirect. They are New Zealand’s eBay and they’ve been around for 20 years. The reason eBay doesn’t have a presence here is because of Trade Me. Twenty years ago some guy saw what eBay was doing and replicated it for the New Zealand market and it’s a huge business now, and eBay can’t even begin to penetrate the market. Within Trade Me, there’s a whole range of modules and one of those is life insurance, which is LifeDirect. They haven’t really done much with the brand over the years, just the sloth campaign and a bunch of Google search. It was working really well for them but recently they found that customers were dropping off. There hasn’t been a great deal of brand evolution, and that’s why they came to us. What’s the biggest challenge that LifeDirect faces as a brand? There’s just a lot of consumer apathy. 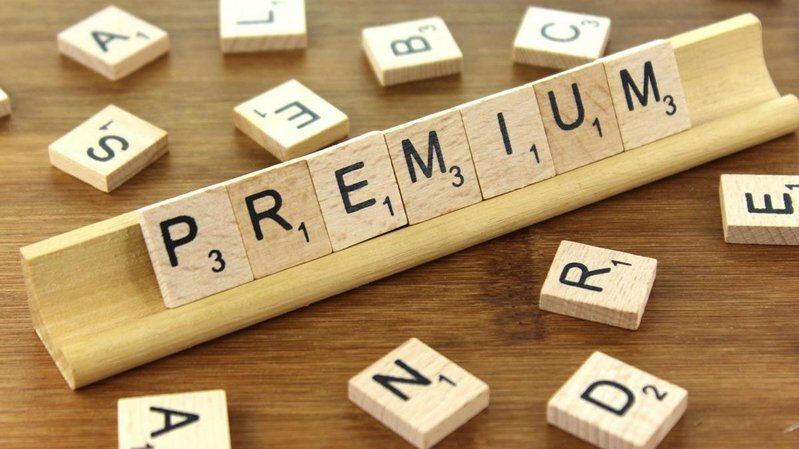 The biggest challenge is making people realise they need life insurance, especially younger audiences, who see it as a distant problem. And then there’s a whole bunch of other comparison sites flooding the market. Does LifeDirect target a specific audience? LifeDirect is for everyone, but in New Zealand a lot of the life insurance brands run TVCs with ex-All Blacks guys in their 50s and 60s talking to camera about their loved ones and a peaceful retirement. I think LifeDirect had isolated the fact that there are a lot of young people who are starting to have kids and buying houses, and who need to take out life insurance, and not a lot of brands here target that market. If we wanted to hit that target market, we were going to have to do something different. What was the brief that you received from the client ahead of the campaign? The client identified the fact that they were doing a lot of macro search-based stuff and weren’t doing any marketing, and they were wondering why the dial wasn’t shifting at all. He wanted to shake things up a bit. The brief was: ‘We need to try something completely new, we need to set up the new brand platform and basically make some noise, reach a younger audience and increase traffic to the website.’ But I think establishing a new campaign platform was the key thing in the brief and our take was that if, metaphorically speaking, we’re going to give life to a new campaign, then we should literally kill the old one. Did you do any research into the market and, if so, what insights did it yield? 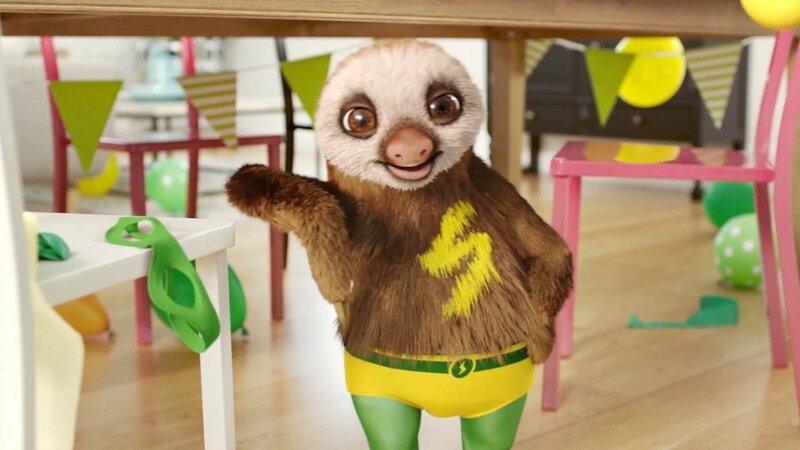 We did research that confirmed what we’d suspected: people knew the sloth from the TVCs but they didn’t associate him with a particular brand and they didn’t even necessarily associate him with a life insurance product. They just didn’t know what he stood for. Some mascots can last forever and some have a short life-span. I think he was in a weird hinterland where he’d been around for just a bit too long, and he wasn’t compelling or quirky enough to maintain an audience. I guess the other thing was that he was well known enough that we could kill him off but ambiguous enough that people wouldn’t hold it against us. There are beloved mascots that you would not even approach with that kind of idea. And then there’s other mascots that people don’t really know at all. Simon sat in the perfect kill zone, for want of a better word. That’s quite a bold step. Usually brands move onto new campaigns without acknowledging what has gone before. I think they would have quite happily done that had we not put this before them. We said we have this idea that we think would do a good job for you but if you want to have big brand punch and make a whole bunch of noise then we can segue into the new platform by doing this other thing first. We presented two or three different routes and, to be fair to them, [The Demise of Simon] is the one that they fell in love with. We did it very efficiently, cost-wise. We had to split the budget between killing the old campaign and launching the new one. Do you think mascots, in general, are losing relevance in advertising? It’s a case-by-case scenario. The market is so flooded with communications that people have to try something new. If you keep a consistent brand platform or mascot for multiple years and don’t refresh it, people will lose interest pretty swiftly. It is an unfortunate reality of the marketplace, but it is also exciting from a brief perspective; you’re not bound by certain criteria. How was success determined for you in the brief? Were you set KPIs? The big one was data collection - gathering email addresses and getting people’s social activity so the brand could connect with them through social media. Also we were collecting phone numbers, which is a big thing in [the insurance] business. How did the idea to kill Simon come about? The team that came up with the idea initially, as is often the case, presented a whole bunch of ideas to me, and the one they thought was never going to fly was the one I immediately gravitated towards. There’s frequently that awkward moment at the end of a meeting when they’re debating whether to show me an idea and shuffling in their seats and I tell them they should show me that one first. Nine times out of ten it’s the best thing. How did this idea answer the brief? It just felt like who else could do this? A lot of brands could kill their mascot in a figurative sense, but I think we’re the only ones who could actually do it, literally. And putting New Zealanders in the seat of losing someone they knew felt appropriate and not just an idea for an idea’s sake. It was a simulation of the process people would go through if someone they knew passed away, but in a much more tongue-in-cheek fashion. The promo [the competition encouraging people to invent a relationship backstory with Simon to win money] was the aha moment. Rather just doing a TVC and a bunch of supporting stuff, it was about actually getting people to consider signing up for life insurance. Why did you announce Simon’s death in newspapers after the TV spot aired? It was the big call to arms. The TVC had quite an ambiguous finale. It didn’t cut to logo and there was no resolution, and that was intentional. There was a lot of chat on social, like: ‘What the hell just happened?’, and the press ad just confirmed that he had passed away. It was similar to what we did with the McWhopper campaign – using traditional media to get traction on social is often the way we operate these days. It’s a vehicle to get the message to spread further because not everyone is reading newspapers, but as soon as you put something in a newspaper it gives it a high degree of credibility, depending on what the newspaper is, of course. Maybe not The Sun.